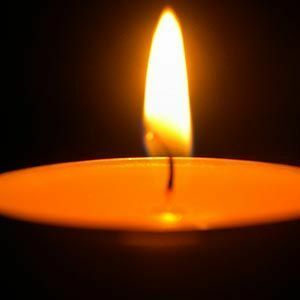 Tracy Jo Salisbury, 49, of Beaver Dam passed away on Monday, March 18, 2019 at St. Mary's Hospital in Madison. Tracy was born the daughter of John W. and Karen Schmidt on November 7, 1969 in Beaver Dam. She attended Beaver Dam schools. Tracy was a stay at home mom who enjoyed playing bingo and going camping. Tracy is survived by her two children: Dustin Schmidt of Beaver Dam and Alexander Salisbury of Green Bay; her mother, Karen (Terry) Winter of Wausau; two brothers: Terry Schmidt of Wausau and Logan (Emily) Trautman of Pickett, WI; as well as aunts, uncles, cousins, a nephew, other relatives and friends. She was preceded in death by her grandparents and her father, John in 2007. A celebration of Tracy's life will be held at St. Mark's Lutheran Church, 600 Stevens Dr., Wausau, WI 54401 on Saturday, March 30, 2019 from 5 p.m. until 7 p.m. A short service will begin at 5:30 p.m. at the church. Add your thoughts, prayers or a condolence to Tracy's guestbook.